Where there are gardens and bicycles... | there is hope. Last night, after Lauren was done with work, we drove (read: sped) down to the Boulder Humane Society to meet with a puppy. 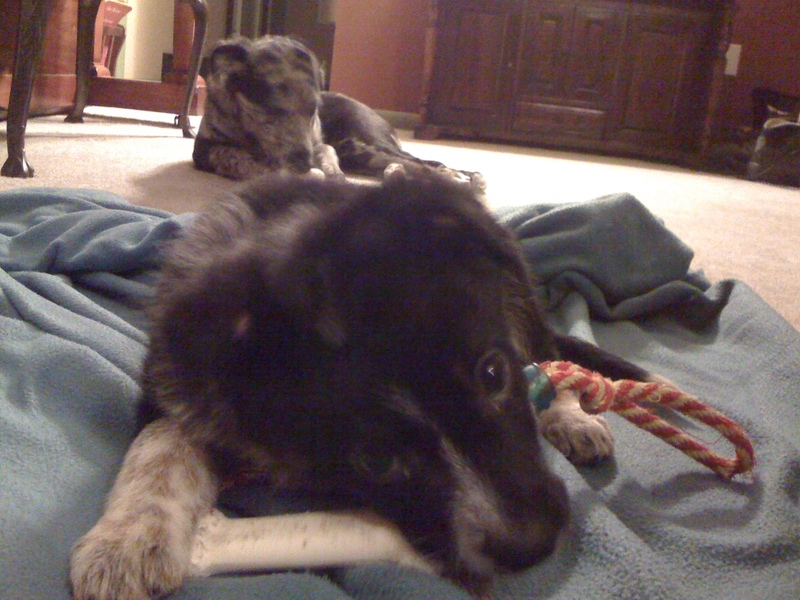 We adopted Kenya through the Boulder Humane Society and we so comfortable with them we knew that when the time came to get a second dog we would like to adopt from them. Lauren and I have been talking about getting a second dog for about a month now. When we adopted Kenya we had talked about having two dogs, but we wanted to wait on the second until we were used to having one in the house. 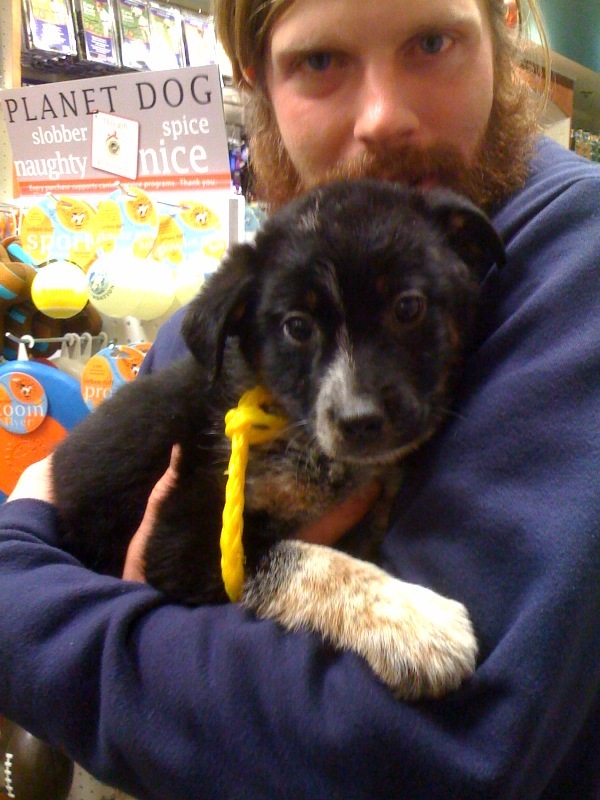 We met with Jackson and knew right away that he was the pup that we had been looking for. 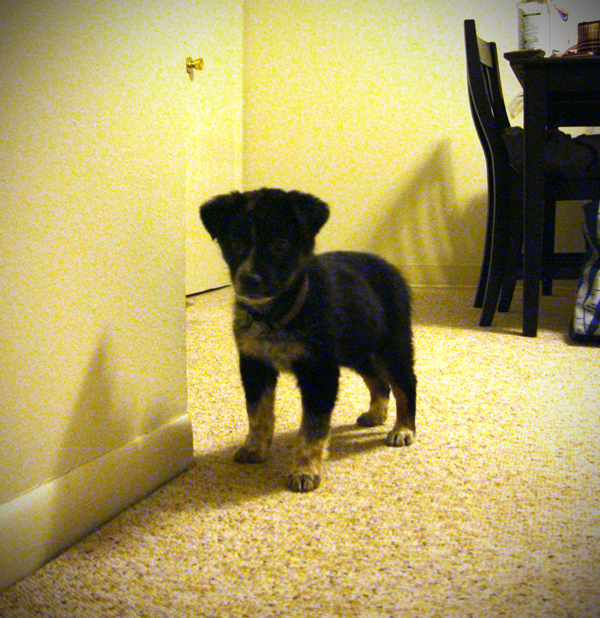 He’s an eight week old, black/red Aussie mix. Kenya isn’t quite sure what to do with a little dog in the house yet. She certainly isn’t sure what to do with another dog that is getting attention from us. I think they’re going to get along pretty well once they get used to each other. I struggled to focus when I sat down to read. I struggled for words when I sat down to write. I found that when I couldn’t read or write I was restless. When I couldn’t read or write I lost vision and purpose. Being restless without vision and purpose does not sit well with me. I found myself somewhat stuck between searching for contentment and longing for adventure. This year, however, has some exciting things on the horizon. I’m working with a friend on a project that will be working on bringing affordable, healthy, and local food to people who are ready to make the change. We’ll be kicking things off with a blog on January 10 and we are planning an event during the month of March. I’m heading to Milwaukee next week to visit Growing Power. Will Allen has become a hero for me and I’m really excited to meet him and get a closer look at the great work he is doing in organic, urban ag. Starting in February I’ll be starting back to work at the farm, but this year I’ll be working as a farm manager. I’m really excited about being able to step into this role. I think that it will give me a needed push to convince me that I’ll be able to have my own farm (in whatever capacity it looks like) someday in the near future. Lauren and I are planning a trip to Oregon in June. It will be a vacation for the sake of taking a vacation. It’s going to be lovely. In the fall I’ll get the chance to do an independent study for credit. I’m thinking about looking into extending the CSA season to look at the viability of a winter CSA or perhaps a market study of heirloom dry beans. And by the time we’re writing 2011 I’ll be one semester away from graduation. I’m staying away from making any formal resolutions this year. I think my goal is to learn to live in the ways that are the most “Stephen.” I want to find and pursue the things that capture my heart. I want to continue to fall in love with Lauren. I want to find peace in the unknown. I want to be. You’re wet with this nightmare. We don’t need a lot of money. is we’re gonna be alright. Yeah, we’re gonna be alright. ’cause we’re gonna be alright. to find some life you can’t refuse.